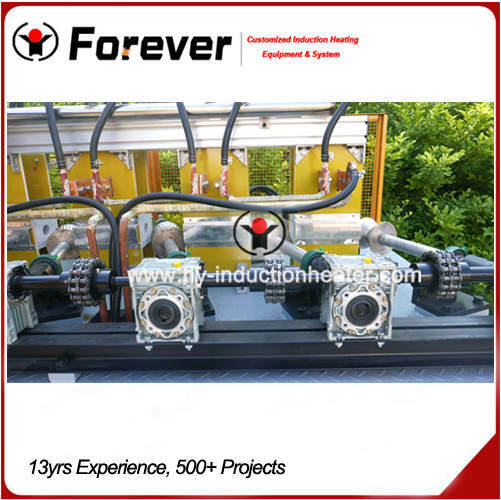 So far Forever has already had many sucessful cases for induction quenching furnace, such as round bar induction quenching furnace, seamless pipe induction quenching furnace, shaft induction quenching furnace, sucker rod induction quenching furnace etc. Available for surface and through quenching. Used for quenchign for solid bars, pipe and plate. Available for wide range of part size with one machine.Only need to change induction heating coil to meet heating requirement of different parts. Automtaic loading & unloading, saving much labor and time. The system can save, print, inquiry all the production parameters. Simple operation without special skills for the operators. Our technican will set the production parameters for the user and mark No..The operator only need to start the recipe and the whole sysetm will work as setting parameters, which can make sure the quality consistency. 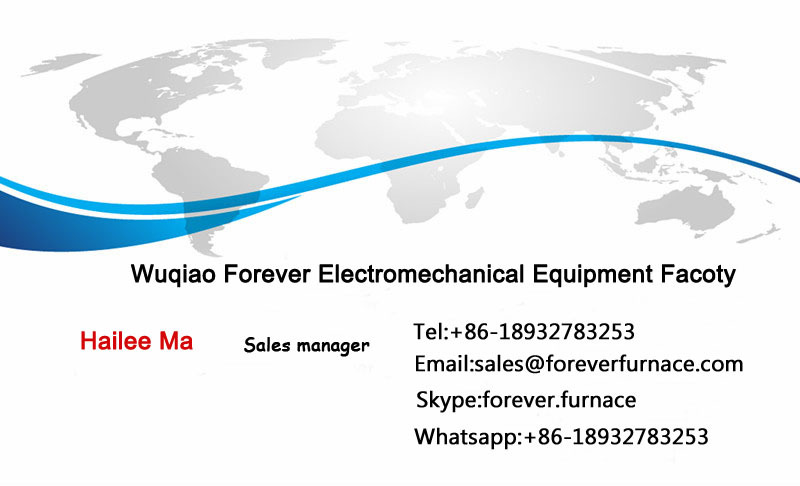 Welcome to send us inquiry for Forever induction heat treating furnace ! Forever Furnace is specialized in manufacturing large equipment such as induction heating equipment for steel bar, round steel heat treating line, grinding rod hardening and tempering, billet induction heater, complete skew ball rolling machine, medium frequency hardening machine and so on.The lines are equipped with advanced digital IGBT induction heating power supply,PLC control and infrared thermometer.Our equipment is widely used thermal processing field such as forging and extrusion heating,bars and tubes heating,shrink fitting,induction quenching,tempering,annealing and brazing. Forever Furnace have designed and manufactured the first domestic 2500 KW hot rolling production line for bars continuous heating and 4000 KW steel bar hot rolling heating line,saving energy greatly and reliably.Today we serve hundreds of customers worldwide and export quenching and tempering lines and system to India,Vietnam,Taiwan,Russia,Indonesia. Candea Induction Heating Equipment Co.,Ltd.